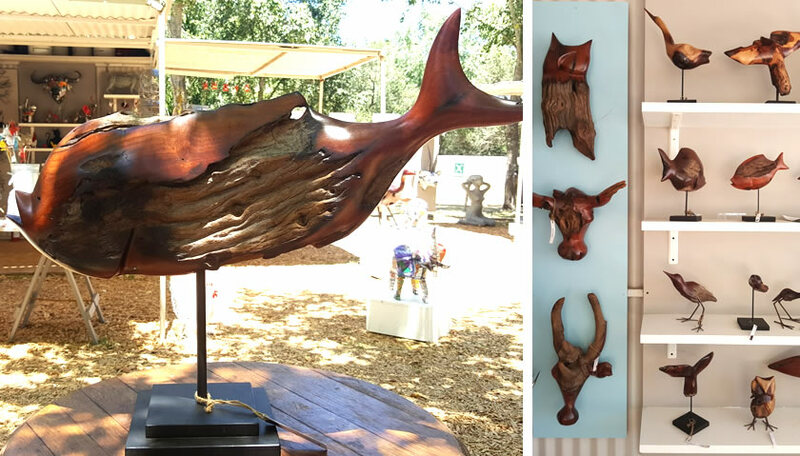 Our second unit of the Craft Market at Spier greets you with a large folder of original artworks to flip through, acrylic paintings on the walls, alongside cheeky metal animals and a menagerie of appealing and tactile driftwood sculptures. 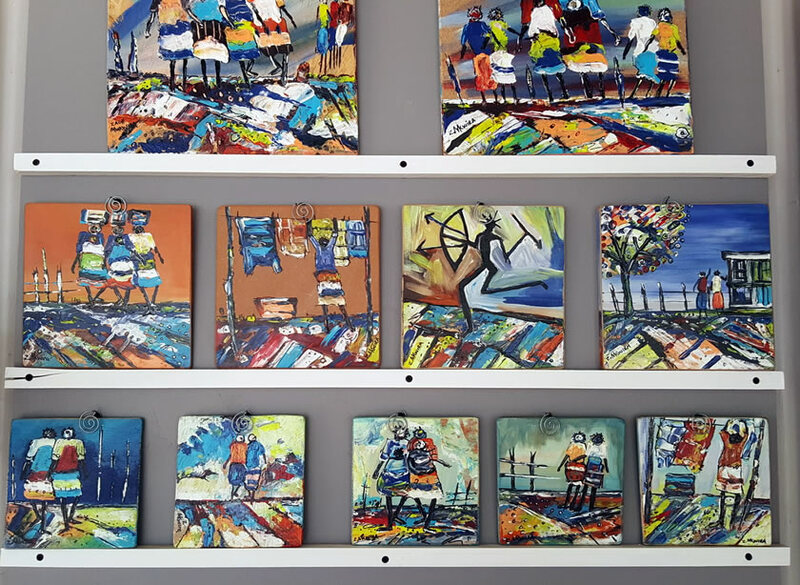 This unit is shared by Boniface Chikwenhere for the driftwood sculptures, Zach Mukwira acrylic paintings and Sam Sithole for a combination of repurposed metal pieces and bead and wirework. Several days a week you’ll find Zach at his table there preparing the canvases for his abstract pieces, which involves a stage of carefully cutting out layered shapes that will make up the final patterns. He’s always happy to chat to visitors about his work and demonstrate his process. 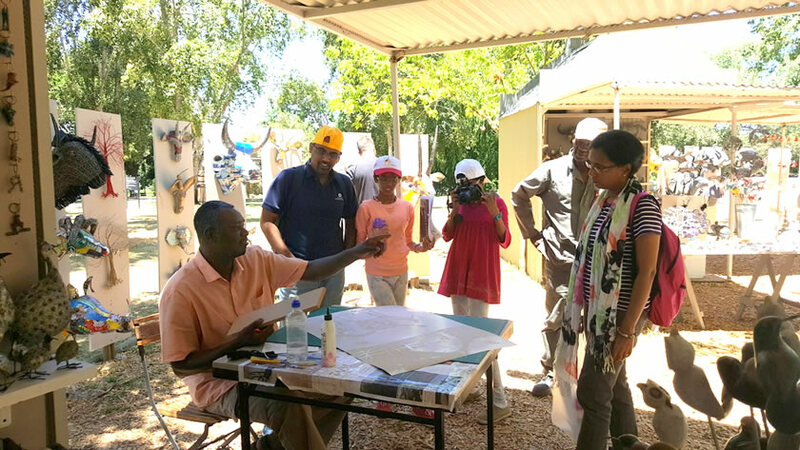 Come and see these accomplished artists for yourself at the Craft Market at Spier, on the shady lawns below the wine tasting centre at Spier Wine Estate. Open daily 10am – 5.30pm.